Luxury New Beach Homes, Resort Beach Vacation Properties, Mobile Homes, Farms, Acreage, Land, Building Lots, Houses, Condos & Townhomes for sale in Southern Delaware (Kent & Sussex Counties Delaware). Looking for Mobile Homes, Townhomes, Land, Building Lots, Acreage, New Homes, House or Condos? Jeffrey Fowler, REALTOR® Southern Delaware Real Estate Agent - Keller Williams Realty. Bringing Real Estate Buyer's and Seller's together Since 2002. Southern Delaware is a region rich in natural diversity, history and limitless recreational activities. Comprised of Sussex County (the southernmost of Delaware's three counties) Southern Delaware is home to famous resort spots such as Rehoboth Beach, Fenwick Island Lewes, Dewey Beach and Bethany Beach. Alongside these coastal towns, historic sites such as Seaford, Laurel or Georgetown may also be found. Given the numerous attractions of these areas, real estate in Southern Delaware is sought by those who want a vacation home or beach condo for seasonal use, as well as those looking for a long term move. We love to help those buying or selling properties in Southern Delaware. Search our entire MLS database of Southern Delaware Real Estate. Search New Homes, Condos & Vacation Properties For Sale Featured Delaware Real Estate Listings. 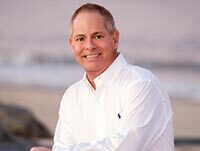 There are literally thousands of real estate properties in Southern Delaware, and Jeffrey Fowler has access to them all. You may search the online database for properties for sale, either by limiting your search to a particular town, or broadening your search to include all of Sussex County. In addition, you may subscribe to a list of daily updates based upon one or more criteria. Should you choose this free service, you will be notified when real estate in Southern Delaware becomes available. Many real estate agents have access to the listings, but none have the intimate knowledge and experience to match Jeffrey Fowler. Himself a resident of Delaware, Jeffrey's Fowler's love of all of the areas of this region shines through with each and every customer interaction. Giving you all the personal attention you deserve, Jeffrey Fowler takes the time to make sure you find the real estate property that is just right for you. Qualified Keller Williams Realty Realtor Southern Delaware. As an increasing number of people are searching for real estate in Southern Delaware using the Internet as their primary tool, it is vital for people to have confidence that the Realtor® will genuinely work in their best interest. The customer testimonials received by Jeffrey Fowler on a continuing basis are testament to his knowledge, patience and professionalism. It was great working with Jeff Fowler when we were looking for a new property in Delaware. Living out of state, we started our search by contacting several Realtors® who did not respond to our phone calls or emails. Jeff on the other hand promptly responded by returning an email with a list of several properties we might be interested in...His professional attitude and dedication to servicing the final deal made purchasing an out of state property easy. We would work with Jeff Fowler again and recommend him highly. Questions about Real Estate in Southern Delaware? Whether you have a question about a specific property, or just which town in Sussex County would be a good choice for you or your family, Jeffrey Fowler can find the answer. Give him a call, or drop him an email today! He will give you all the personal attention you deserve, and help you find the home you have always dreamed.